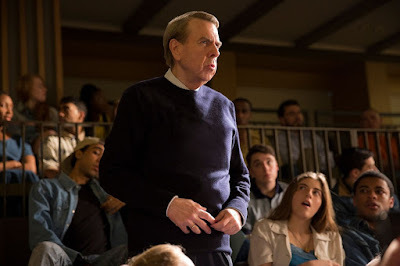 There is a scene in the middle of “Denial” where a professor named David Irving (Timothy Spall) is questioning a historian on details about the exact purpose of the concentration camps in Auschwitz. The historian is showing various simulations created by other scholars to show how the camps worked, what their purpose was, and how we know that they worked for their intended purpose. Irving listens intently, hanging onto to every word, before he launches his attack: no actual photographic evidence has been provided. The burnt down structure does not have the materials that prove certain functioning mechanics existed. 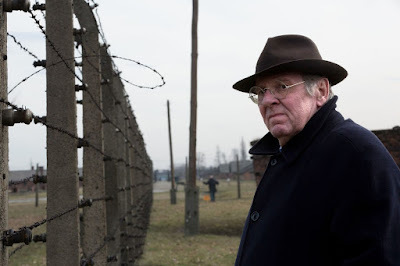 Therefore, he concludes, the popular notion that the camps were used specifically to kill Jews can be legally brought into question and reasonably assumed to be a complete and utter fabrication. The scene stands out because in one short scene the audience has been confronted by two things: that someone is not only able to conceivably deny something as major as the killing of millions of Jews actually happened, but also that they can do so and actually sound rational and intelligent in doing so. Before we continue I do want to stress that of course the concentration camps existed and the Holocaust actually happened. The evidence that the Nazi’s did this is overwhelming and I believe you would have to be a fool to believe otherwise. What is clear though is that no event – regardless how obvious – can ever truly be critic proof. What is also clear is that you can have people who are completely wrong in their assertions, regardless how intelligent and well intentioned they are. And make no mistake: David Irving comes off as a very intelligent man. To the extent that he even seems to know what he is talking about to how he believes things actually happened. And Timothy Spall does a great job of portraying this ideologically corrupt man as someone we might actually want to have a cup of tea with so long as the subject of the Holocaust wasn’t brought up in the first place. I should now take the time to mention that Irving is not really supposed to be the focus of the film. In fact, he is pretty much the villain in “Denial” and the movies hero is Deborah Lipstadt (Rachel Weisz), who wrote a book criticizing Irving’s beliefs, which prompted him to sue her for libel. That we are on her side from the beginning was probably never going to be in question. 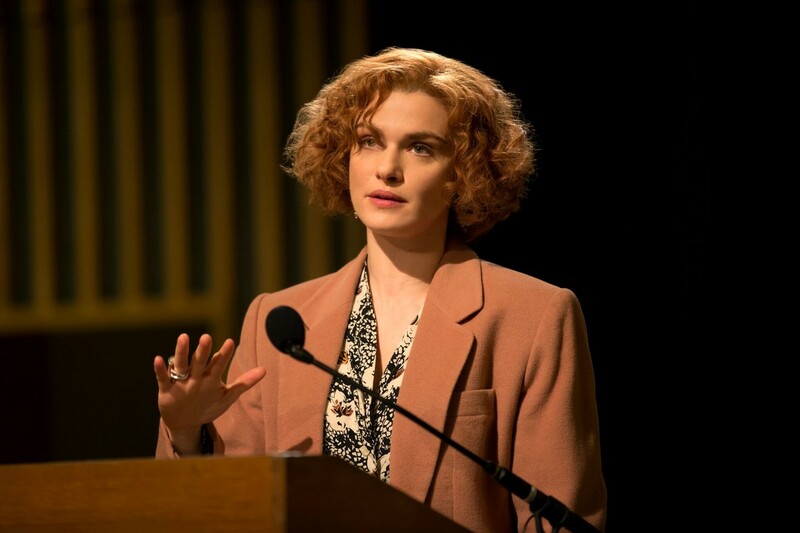 In fact, it is made clear early on that the real point of the trial is so that Irving can get Lipstadt on the stand and question Holocaust survivors in the public. 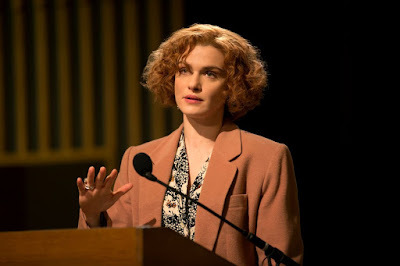 This is why Lipstadt is prohibited from speaking on the stand. This is also why no survivors of the concentration camps are called as witnesses; the lawyers don’t want to give Irving what he wants. This is probably why Irving comes off as the most interesting character despite our disagreement with him: he is simply the most prominent character in this movie. He is his own lawyer, fact checker, and personal witness. If his side makes a great point or a mistake, it is entirely on his shoulders. 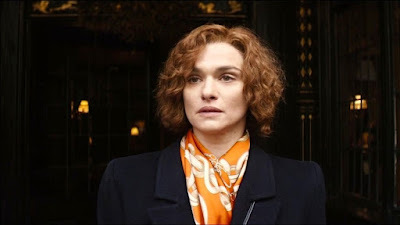 The lawyers working for Lipstadt are professional and well versed in what they do, but they are following an opinion that is widely accepted by the general public as true and, thus, they have less work to do. If anything, “Denial” seems to be a strong case to be made on how fascinating opposite opinions can really be even if we disagree with them (and in some cases have no choice but to). As a film it does make some mistakes. Our main protagonist is almost a passive player in all of this, reduced to taking a back seat to her legal defense team. The nature of the lawsuit itself makes it almost impossible to not predict the final verdict. 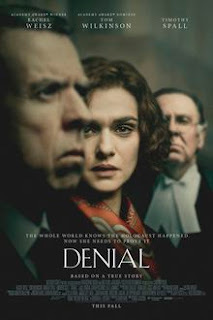 In some respects, “Denial” would be just an average courtroom drama. Spall’s performance and character is what makes the movie worth watching. Again, we can clearly (and with good reason) disagree with the man and even think he is hateful and crazy. But to watch someone be that dedicated to his false ideals is not only interesting, it is weirdly fascinating. We almost want him to make a strong case because it is a point of view we rarely see, and we just want to see how far he can take his argument. We don’t have to agree, mind you, but one thing that is more interesting than a good agreement is a good disagreement. Parents, there is talk about the Holocaust and how Jews were gassed and killed. Nothing that would warrant more than a PG rating, but the single use of an f-word pushes the rating (of course). Recommended for ages 10 and up.